Florida's Treasure Coast ~ Here We Come! After our last few summers of traveling, we have been blessed to visit most of these places. Smoky Mountains ~ Here We Come! was our first choice to review. 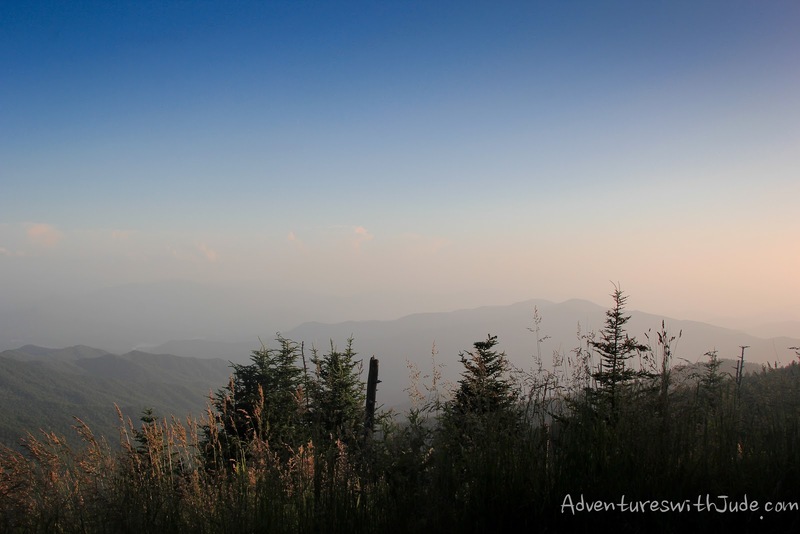 Three summers ago, visited the Great Smoky Mountains National Park, and were stunned by just how simply beautiful it is. Due to the popularity of the titles, Crew members were also asked to submit a second choice, and ours was Colorado ~By the Way. We chose it as a way to remember our 2016 trip west, when we visited Cristi and family from Through the Calm and Through the Storm. While we've been to almost all of the places featured in the series (Washington State is on our bucket list! ), we were especially drawn to these two places because of the National Parks. 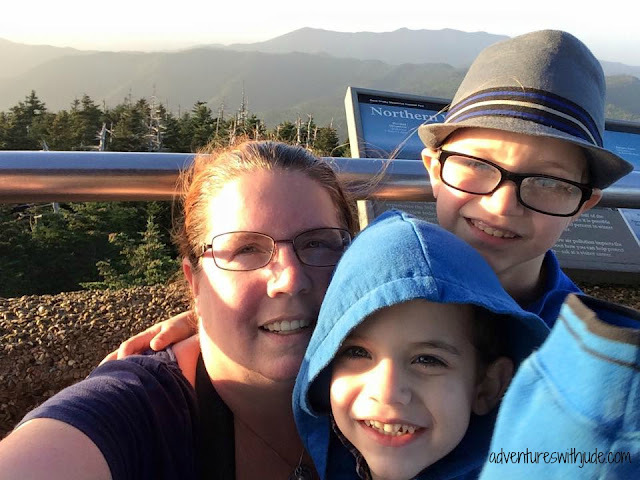 The NPS's promotional motto has been "Find Your Park," and despite having been to over 50 National Park units, once we were at Clingman's Dome in 2015, I thought I had "found my park." That was until last summer, we drove up the Old Fall River Road to the Alpine Ridge at Colorado's Rocky Mountain National Park. Now I can't decide which is "my" park! There wasn't much left that they didn't explore! We were excited to read about Clingman's Dome. Celia could identify with the character Lexi's gratitude for reaching the parking lot -- the drive is along a winding road that is not backseat-rider friendly! The hike up is a challenge. 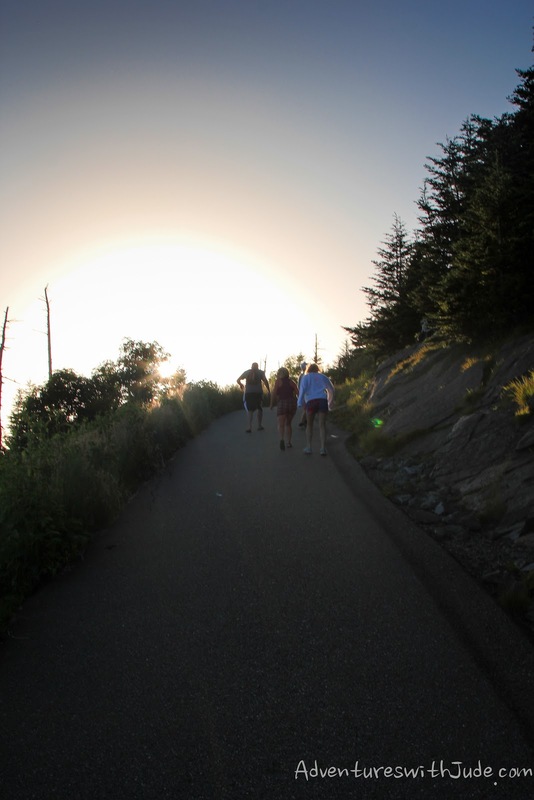 It's 1/2 mile long, at a 12% incline -- the equivalent of climbing a 30 story building! Named after Civil War General and Senator Thomas Clingman, it is the highest point in the Appalachian mountains, rising to 6,643 feet above sea level. When you get to the top of the observation tower, the view is stunning! (Plus, there's quite an adrenaline rush from having completed the hike.) In the story, the kids visited during the morning. That fit better with their plans of an overnight hike to Charlie's Bunion. We visited at sunset and got some amazing photos. The story includes a brief lesson on the Smoky forest. 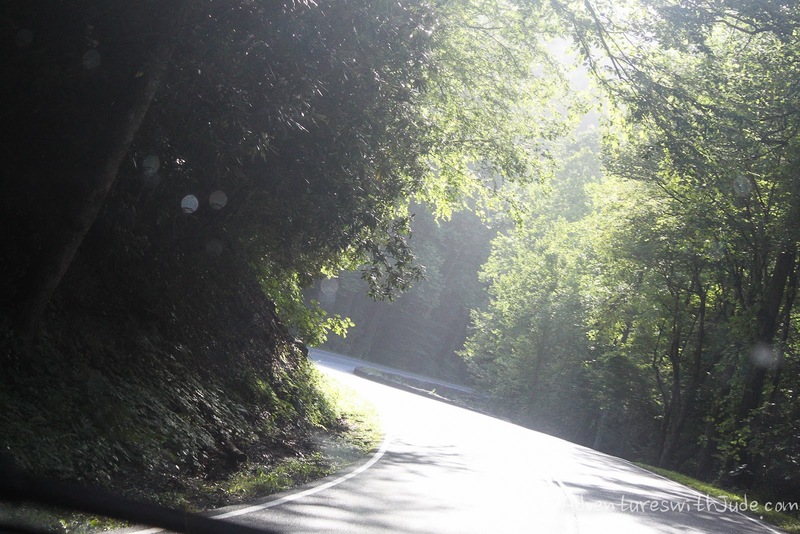 It's the vapor from the trees that creates a smoke-like mist, giving the Smoky Mountains their name. 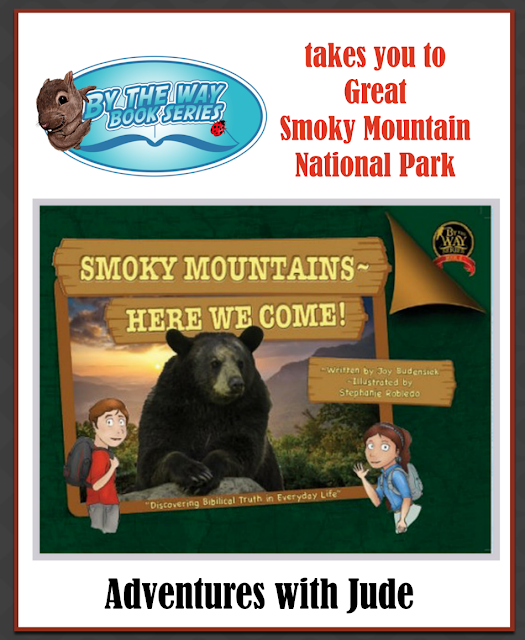 Along they way, to their hike, the characters talked about the forests and animals that live in the mountains. One of the featured critters was the butterfly. I've never seen as many butterflies in one place as I did when we visited. If the legend says that butterflies are the souls in heaven visiting earth, I think it's entirely possible that heaven is a lot like the Smokies. Speaking of heaven, the books has a very strong Biblical view. Bible verses are liberally integrated, and the characters sing hymns while hiking. Honestly, I have mixed feelings about how the viewpoint is expressed. Nearly half of the book's pages have either verses, teachings, or "Isn't God amazing?" entries. I understand where the author is coming from, but after a while, it seemed a bit over the top. It felt like every point about the mountains needed a corresponding Bible verse. Yes, I agree that God did create an amazing universe, but in a children's book, it became less of a story and more of a sermon. With so much Christian emphasis, I especially appreciate that the author did not try to Christianize the stories of Cherokee Reuben Runs Alot. While there were missionaries who came to convert the Cherokee, Budensiek omits this and allows Reuben to tell the children stories of his ancestors. Reuben tells them about how they lived before the Europeans came, the written language developed by Sequoyah, and gently corrected any mistaken notions the children had about his people. I love the story that Reuben tells them about the fight between two wolves. I think it's a beautiful way of showing that while the main characters are overtly Christian and Reuben believes in the teachings of his ancestors, humans have the same essential core -- the intrinsic struggle between good and evil lies within each of us, and the one you tend to is the one that will win. As an avid hiker and parks lover, I am glad the author included a meeting with "Ridgerunner Ralph," a park ranger who walks along the trail making sure it remains how it should, and reminds the children of the outdoorsman's principle "Leave No Trace." Robledo's drawings show Ralph in action, picking up litter. Damien piped up with two observations. First, Junior Rangers also are supposed to pick up litter and leave the park better than they found it. He then reminded us of our rule, reciting "Take only pictures, leave only footprints." Preserving the parks for future generations is everyone's job! Overall, we enjoyed the book. It is well researched and provides both hand-drawn and photographic images that demonstrate life in the Smoky Mountain National Park. At the front of the book, there is a note from the publishing team, promising the book will be Informative, Integrated, Intentional, and Inspirational. I think it hits all of these points. The kids are hoping we get to visit the park (again) soon! I hope so, too, because I think I need to visit both Smoky Mountain and Rocky Mountain National Parks again to decide which is "my" park. For Crew reviews of the other stories in the series, click the banner below!